Australia is an Oceanian country comprising the mainland of the Australian continent, the island of Tasmania, and numerous smaller islands. It is the world’s sixth-largest country by total area, roughly comparable in size to the 48 contiguous United States. Australia lies at the junction of the Indian Ocean to its west and the South Pacific Ocean to its east. Neighboring countries include New Zealand (southeast across the Tasman Sea), Papua New Guinea (north), and Indonesia (northwest). Indigenous Australians inhabited the continent for at least 40,000 years before the first British settlement in the late 18th century. These aboriginal cultures were grouped into roughly 250 language groups. After the European discovery of the continent by Dutch explorers in 1606, Australia’s eastern half was claimed by Great Britain in 1770 and initially settled through penal transportation to the colony of New South Wales from 26 January 1788. Australia is a developed country and one of the wealthiest in the world, with the world’s 12th-largest economy. In 2014 Australia had the world’s fifth-highest per capita income. 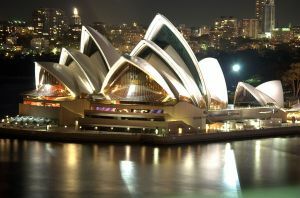 Australia is famous for its natural wonders and wide open spaces, its beaches, deserts, “the bush”, and “the Outback”. Australia is highly urbanised with most of the population heavily concentrated along the eastern and south-eastern coasts. Most of the inland areas of the country are semi-arid. 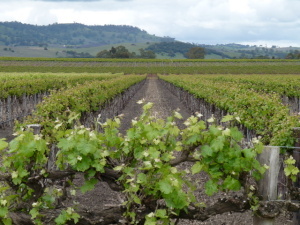 The Barossa Valley in South Australia is the finest wine-producing region in the country. Many wineries in the region are open for tastings. The Blue Mountains, a World Heritage Site, is known for its majestic scenery, cultural attractions, and relatively tranquil, alternative mode of life. It is also know for the wide range of outdoor and nature-oriented activities that are available. 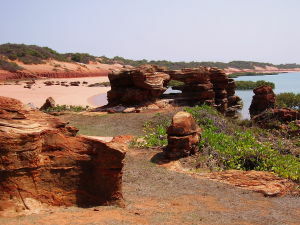 Broome is historical pearl farming town situated on the Indian Ocean. The main beach, Cable Beach, is a beautiful expanse of golden sand, with magnificent sunsets. Fraser Island is the largest sand island in the world. 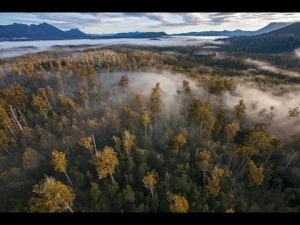 In the interior, ancient rainforests grow in sand along the banks of fast-flowing, crystal-clear creeks. The Gondwana Rainforests are a World Heritage Site made up of national parks and reserves. 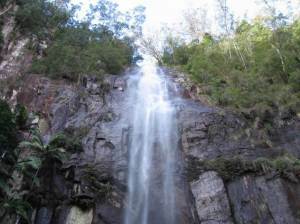 Major parks include Mt Tambourine, Mt Warning, and Oxley Rivers. The Great Barrier Reef is the largest coral formation in the world, and contains a spectacular array of marine life and diving opportunities. It contains three sets of islands: Green Island, Southern Reef Islands, and Whitsunday Islands. The Great Ocean Road is a beautiful coastal region that makes for fantastic driving. The core of the Great Ocean Road is highway B100 betwen Torquay to Allansford, about 243 kilometers. Kakadu National Park a UNESCO World Heritage Site that many aboriginal rock art sites; the most famous being Nourlangie Rock and Ubirr. The diverse landscapes also allow wide-ranging outdoor adventure activities. 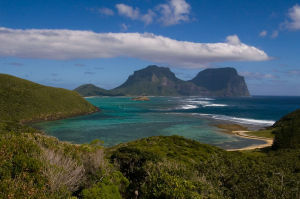 Lord Howe Island is a UNESCO World Heritage Site combining beauty and biodiversity. 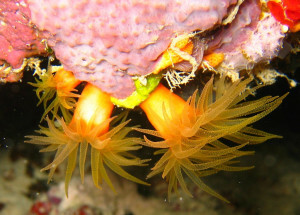 It has the southern-most coral reef in the world. 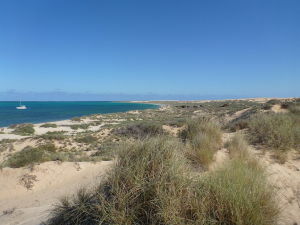 The Ningaloo Coast is is Australia's largest fringing coral reef and a UNESCO World Heritage Site. The area contains diverse habitats – from coral reefs to lagoons, sandy beaches, estuaries, and mangroves. 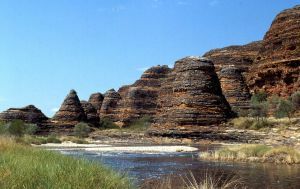 Purnululu National Park, also known as the Bungles National Park, is a World Heritage Site famous for the unusual and striking sandstone domes striped with alternating orange and grey bands. Sydney is one of the world's most beautiful and liveable cities, and one its most diverse. It provides a unique combination cultural attractions with ocean coastline and sandy surf beaches. Tasmania, Australia's only island state, is very different from the mainland. Its interior is filled with parks and reserves protecting its unusual ecosystems that are a UNESCO World Heritage Site. 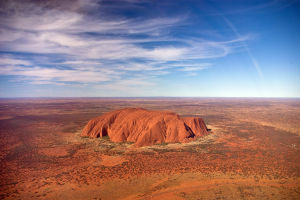 Uluru (also known as "Ayers Rock) is a single massive rock formation that stands out from the flat landscape of Australia’s “Red Centre” desert. It is considered a sacred place to the Aborigines. The Whitsunday Islands are a group of 74 islands form part of the Great Barrier Reef. The islands are know for sailing and other windsports, snorkeling and diving, and pristine beaches where camping is OK.